Many believe dogs eat grass because they’re missing something in their diet, or to throw up, but there is no scientific evidence for this. Some dogs seem to just like the taste of grass. 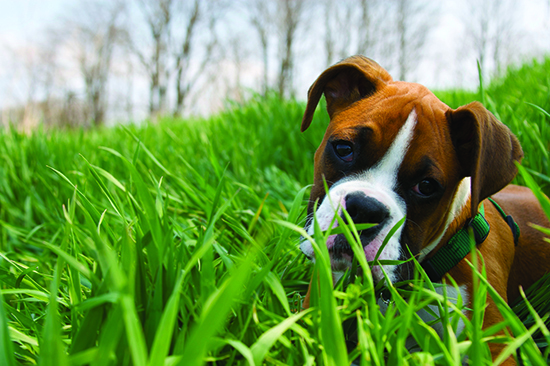 A dog munching down some grass isn’t a cause for worry, just make sure they’re not ingesting too much of it. Teething puppies tend to chew down a lot of leaves and sticks as well, and this can lead to other problems, such as intestinal blockages.